How our little design game caught the attention of 175,000 users. On November 22, 2018 we launched our little design game, It’s Centred That. We anticipated we would get a good response from our 10-level game testing whether your designer’s eye was on point or not. What we didn’t anticipate is just how big of an impact it would have. 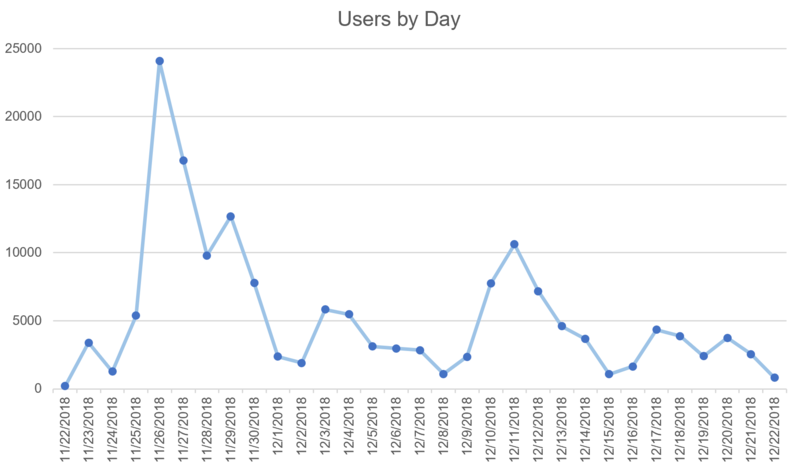 During the first 4 weeks that the game was launched, we had over 160,000 users (see graph). Thanks to the over 20 blogs and websites most users sent to the site during this time were generated by referral links. Sites like Creative Bloq, One Page Love, CSS Nectar, and Muzli by InVision were among the top sites to feature our game. However, there were two sites who we were actively trying to get attention from. Awwwards and CSS design awards. It was a goal of ours to be featured. These sites provide some of the best rating and reviews of web design work out there. Our designers are consistently inspired by the work featured on these sites. We were honoured when we found out that we would be the Site of the Day for both platforms. The game thrived in the United States, United Kingdom, and France with 23,672, 12,664, and 12,336 users respectively. With over 40,000 combined users, China, Spain, Russia, Japan, India, Germany, and Italy rounded out the top 10 for countries that played our game. 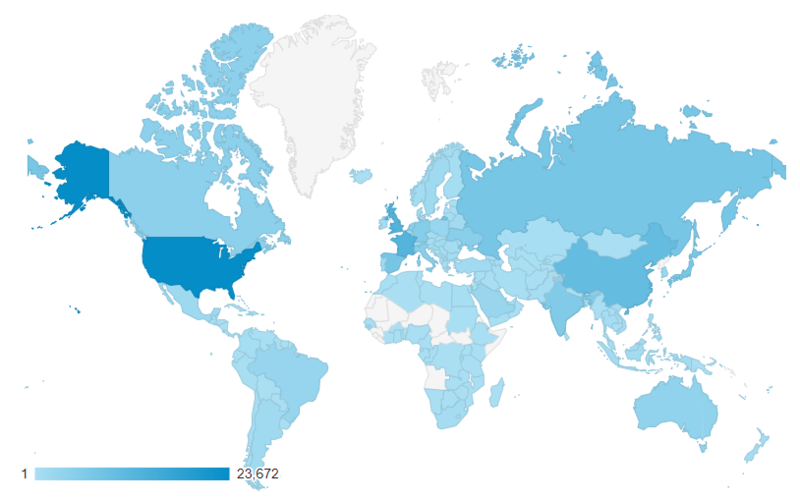 The map below shows just how far our game spread with 188 countries represented. 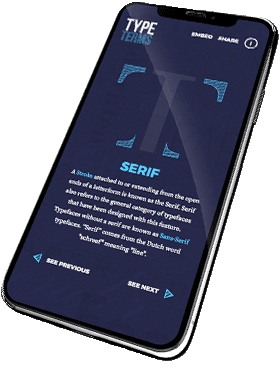 It’s Centred That has garnered so much attention we decided to create a full-fledged iOS app which has had several hundred downloads since it’s launch in December. We were happy to see so many people tweet, share, or challenge a friend to play our game over the last 2 months. 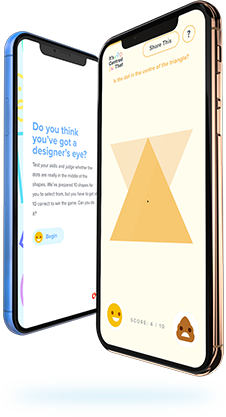 If you haven’t played the game yet, test your designer’s eye here or download the game for iOS here. To see some of our other projects check out our case studies on our Work page.